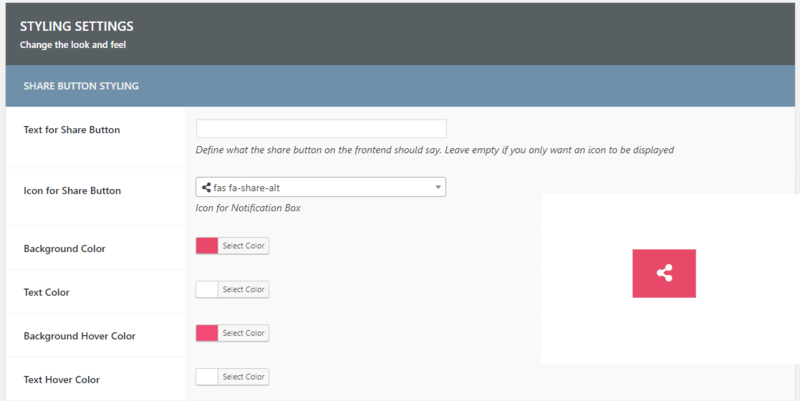 You can change the look of the frontend elements that come with the cart sharing feature. This page goes over the settings and shows where they take effect. 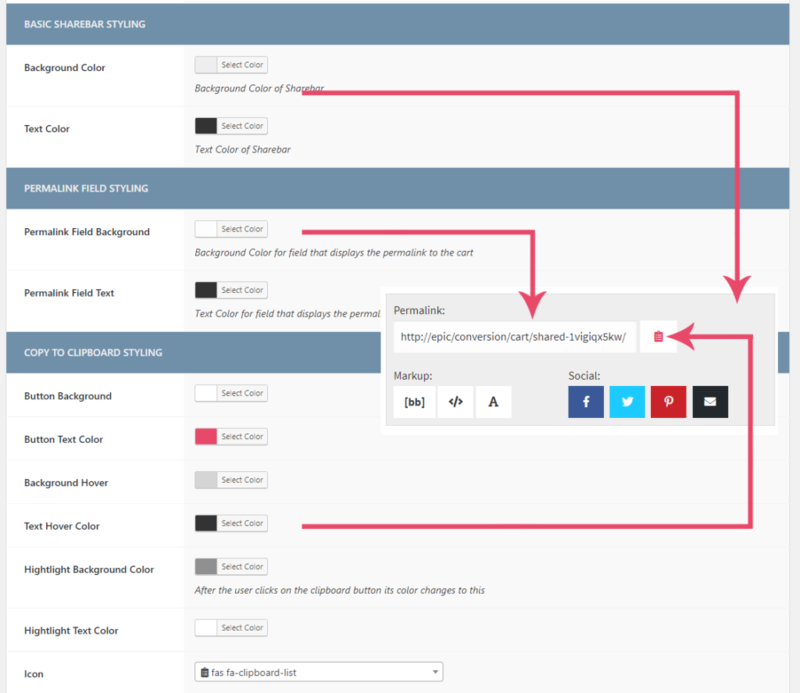 The first styling setting targets the share button that gets placed inside the cart page. You can choose an icon, a text and colors. If you only want to display an icon just leave the textfield empty. 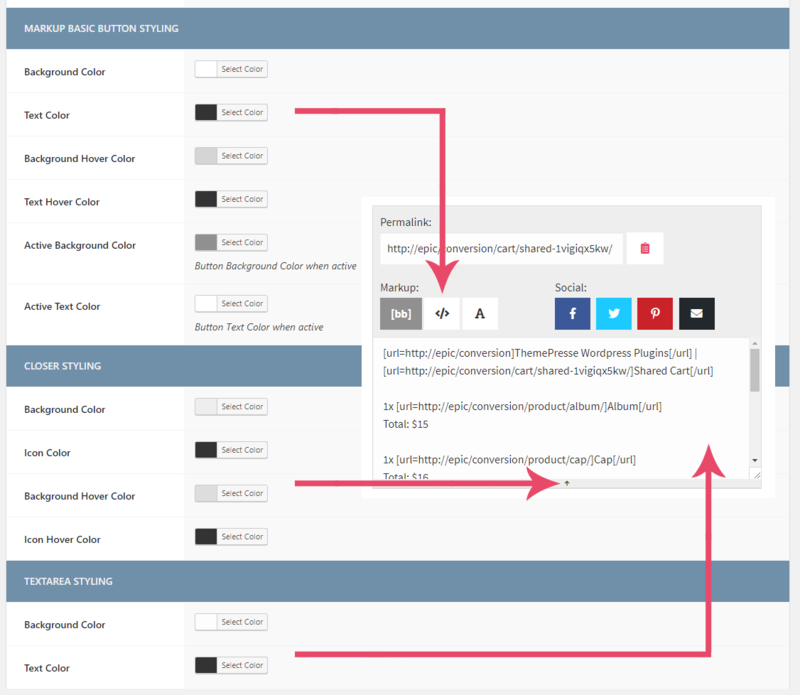 You can choose between a dark lightbox background and a lighter version turning the background white. 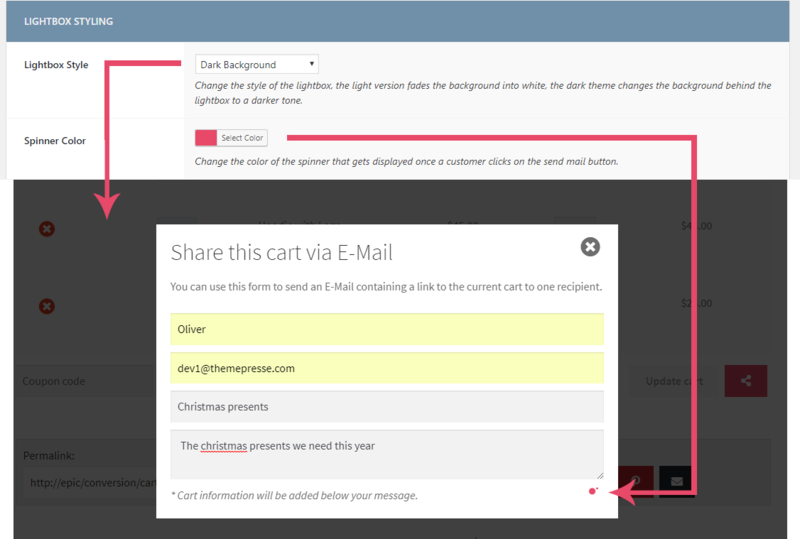 The spinner shows up once a user clicks on the send mail button inside the formfield indicating that the request is beeing processed.